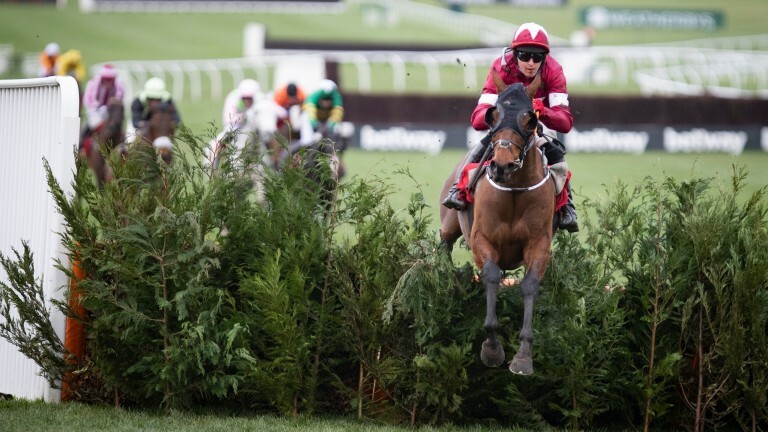 Tiger Roll inspired a colossal roar from the Cheltenham crowd after an exemplary jumping display led him to a fourth Festival victory in the Glenfarclas Cross Country Chase. Keith Donoghue did not move out of second gear aboard last season’s Grand National hero, who jumped perfectly over the 32 obstacles, effortlessly moving into the lead before the last and forging clear for a 22-length procession over Josies Orders. The Gordon Elliott-trained star was given another enormous cheer as he returned to the winner's enclosure. He had previously landed the 2014 Triumph Hurdle and the 2017 National Hunt Chase, and has now won the past two renewals of this unique contest at the festival. Elliott, who secured his first victory at this year's meeting and was soon to make to two with Envoi Allen in the concluding bumper, said: "It was brilliant, he looked very good. "He jumped and just did everything right. Keith has a great relationship with the horse. "He's won at four Cheltenham Festivals and a Grand National as well, so he's a very special horse. He looked as good as he's ever been, he was unbelievable and I feel very lucky to have him." The popular nine-year-old, owned by Gigginstown House Stud, was cut to as low as 5-1 to become only the second horse to repeat a Grand National success. Elliott added: "He'll go to the Grand National next. It's a big ask to win it again, he's 9lb higher, but we'll enjoy what he did today as it was brilliant. "Of course we want to win the National again, but he's won at four Cheltenham Festivals, that's just incredible. "You win the Grand National by accident, we're lucky to have won it twice. Cheltenham is where we want to win, it's the Olympics of our sport." "Everyone knows it's been a rough week," said Elliott. "Horses haven't been running up to par, and some of them haven't been good enough. "We're lucky to have a good bunch of horses and owners. We've been keeping our heads up and kept going." Eddie O'Leary, who runs the Gigginstown operation with brother Michael, said in reference to a remark about the Grand National his brother had made on ITV Racing earlier: "Mick would always be concerned about the horse's welfare and carrying a lot of weight in a Grand National, so that's what he'd have been thinking about when he suggested he might not go to Aintree. "However, as long as the horse is okay and he comes out of this well, he'll be aimed at the National. That's always been the plan." 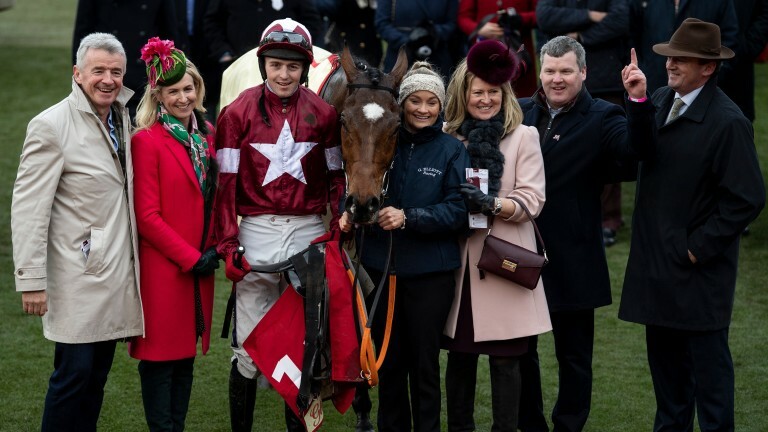 Originally due to be ridden by Bryan Cooper until he broke his leg, Tiger Roll went off at 10-1 for his first festival appearance and kick-started his love affair with the meeting, drawing clear by three and a quarter lengths under Davy Russell. Stepped up in trip, the 16-1 shot was not fluent throughout the festival's longest race, but belied his Flat pedigree to stay on strongly. The victory completed a dream opening-day treble for Elliott and provided Lisa O'Neill with her sole success at the festival. The unique twists and turns of Cheltenham's cross-country course posed no problem to the "little rat of a thing" – owner Michael O'Leary's words – whose victory solidified his place as a firm festival favourite. The victory teed him up perfectly to go on and land the Grand National only a month later.